On 27th July 1890, a gaunt figure stumbled down a drowsy high street at twilight in the small French country town of Auvers. The man was carrying nothing; his hands clasped to a fresh bullet wound leaking blood from his stomach. This man was Vincent van Gogh, then a little known artist; now the most famous artist in the world. His tragic death has long been known, what has remained a mystery is how and why he came to be shot. The first fully painted film, Loving Vincent is an incredible feat of animation. Each and every scene is a stunning tribute to the vision (and tenacity) of directors Dorota Kobiela and Hugh Welchman and their phenomenally talented cast and crew. Over 65,000 frames were painted on over 1,000 canvases in order to create Loving Vincent. The directors shot the film with actors and then painted over this footage frame by frame - an extremely laborious and time-consuming process. Indeed it took four years to develop the technique and more than two years (with a team of over 100 painters working at studios in the Polish cities of Gdansk and Wroclaw, and a studio in Athens) to complete the film. The results are astounding. Loving Vincent brings the work of Vincent van Gogh to life. So much so that the creative process threatens to overshadow the story. It is hard to keep from marveling at the film’s stunning animation. However, this is no gimmick - at the heart of the film lies a gripping story and a fascinating mystery. Dorota Kobiela trained as painter before working in the film industry. However, after a few years working on movies, she found that she missed the world of painting. During a time of crisis, Kobiela sought solace in the letters of van Gogh and from there the idea to merge film and painting was born. All the characters in Loving Vincent are performed by real actors either on specially constructed sets, designed to look like Vincent’s paintings, or against green screens with the Loving Vincent design paintings composited in through a live view system on the set. The film features an impressive voice cast including Douglas Booth, Chris O’Dowd, Saoirse Ronan and Helen McCrory. Remarkably, we see both the characters from van Gogh’s paintings and the actors themselves in the animation. 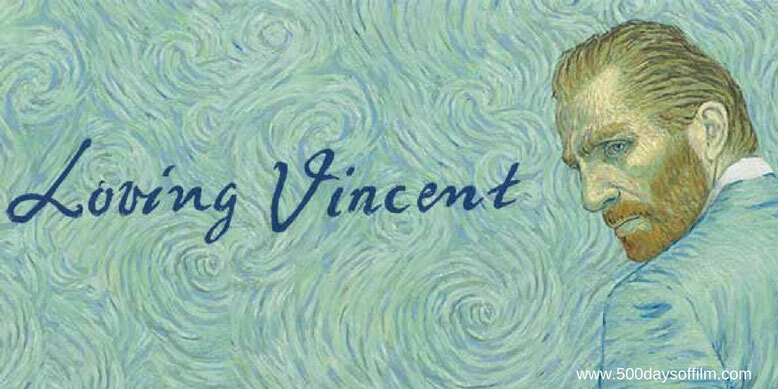 The live action material in Loving Vincent was combined with computer animation (for elements such as birds, horses, clouds and blowing leaves) and composited together with the design paintings to create the reference material for the painting animation. The painting animators used the reference material as the basis for the layout of their first frame, and the movement of the shot. Their task was to transform this reference material into Vincent van Gogh's painting style and then to re-create the movement of the shot by animating each brushstroke. Having completed a a frame, the painting animator takes a 6k resolution digital still, and then starts work on the next frame. Loving Vincent features over 65,000 frames. At the end of each shot the filmmakers were left with a painting of the last frame of the shot. There are 898 shots in the film - each bringing the world of Vincent van Gogh lovingly to life. A stunning achievement in animation. 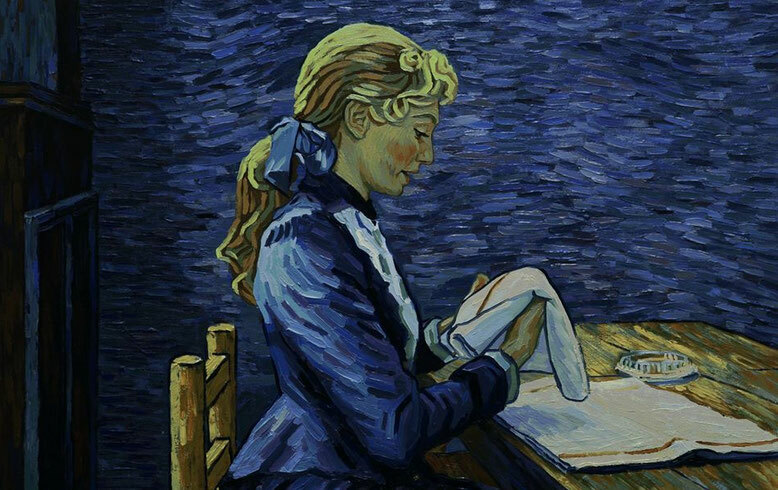 Have you seen Loving Vincent? If you have, what did you think of this film? Let me know by leaving me a comment in the box below or let’s chat over on Facebook or Twitter (@500DaysOfFilm)!